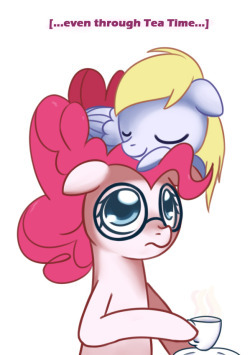 Time for another Tumblr Digest, as I wade through the thick world that are the pony tumblrs. I do want to note that I apologize for any entry into these digests that are short, sometimes there isn’t more to write about than “great art, standard ask / answer format”. Besides picking out the tumblrs that I find enjoyable, I do also go through most if not all the posts before posting. Also I know many of these are ran by “known” artists in the community, feel free to slap me on comments if I utterly miss noting one of their tumblrs. On with the show. 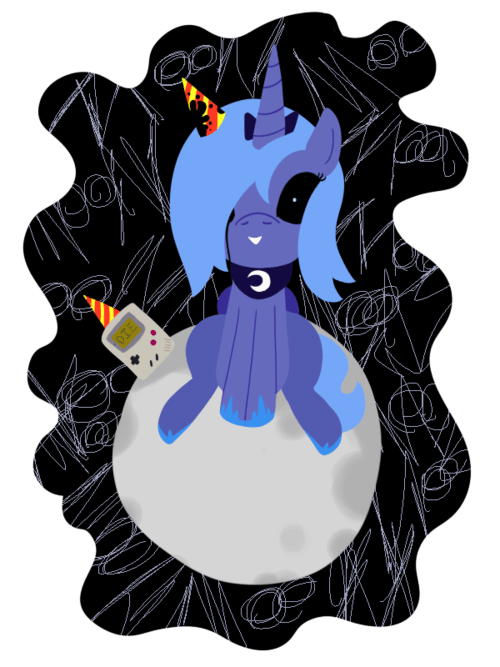 First up in the digest is Ask Loony Luna which follows everyone’s favorite night pony as she deals with living on the moon. In short, she is more or less utterly insane, while something more evil festers inside of her. This isn’t ha-ha insane or sydistic insane say like Pinkie in emo mode. The evil that dwells inside is enough to make you want to curl up in the fetal position and wish for the nightmare to end. My favorite part of this is the fact her only friend is a gameboy someone gave her early on. The gameboy is also evil. NFSW just for the fact your boss would probably say “wtf” if they caught you viewing this, otherwise there isn’t much violence, gore or sexual content. Just stuff you don’t want to bump into while walking through a dark alley. Updates aren’t too frequent, I classify this as a “check once per week” style tumblr. .Pinkie Pie Solutions gets a full SFW, there is only one suggestive part when Princess Molestia shows up, but end results is light humor. Updates are semi-frequent. Ask Surprise seems to be a fan favorite, as I’ve heard of this tumblr for awhile but did not investigate. Surprise is based on the Faust concept of Pinkie Pie (and original G1 pony Surprise). Its a pretty straight cut ask and answer blog, with some random detours. It caught my eye this week just for the Festivus reference, and spent a good amount of time exploring and reading the backlog (and it has a long long backlog). 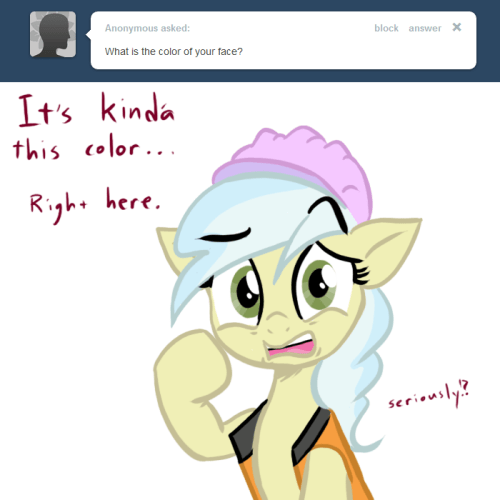 Ask Suprise gets a SFW as there isn’t anything that’ll horrify you. Updates are semi-frequent. Last I’m going to pull a random card, and this week it is Ask the Construction Pony. This follows one of the newer background ponies that I do believe was dubbed by the public as Cindy Block. She was seen in the Mare do Well. Construction Pony has only been out of the gates for two weeks, and only has had a few updates in the past 2 weeks (a couple per week). Its definitely one I’d recommend to keep an eye on. Construction Pony gets a NFSW. The current posts, one I’d call suggestive sexually, and the other one is very “phallic” in nature, though more “wtf”. I think most people are familiar with Gavalanche (and their Rarity / Sweetie Belle, Date Night comics). If so, you’ll know what could be expected in the future from this one.